For some strange reason, even though I do not like the man’s writing, I have always been fascinated by the life led by Ernest Hemingway. Something about the way he lived and the way he had no qualms about it. Till recently, I did not even know that he had had four wives. That was news to me and I could not stop chuckling to myself about it. There is also not much written about Hemingway’s life. So maybe that is why not much is known about him. “Mrs Hemingway” is a story of four wives and one husband and how each of them, were either too much in awe of him or just wanted him to love them and do nothing else. The story begins in 1926 with Ernest’s first wife Hadley, leading to Fife (his mistress first and Hadley’s close friend), to Martha and Mary, all of them, telling her own story, her own life as Mrs Hemingway and what it was like to live with the man – the most alpha of all males – both in attitude and intelligence to a large extent. Wood writes with a lot of flair and passion. With each wife and each story, she almost gives it another voice, which is needed in a book of this nature – considering four narrators and all formidable women. I love the writing, because it is to the point – all the emotions – from rage to envy to what one feels when betrayed, are all there, to be consumed and soaked in – to perhaps not analyse right or wrong – but just move with the story and where it takes you. I love how the references to Hemingway’s writing are made – subtle and so integral to the plot. “Mrs Hemingway” is a rare, short treat, about a writer and his women. Of the personal side – the anguish and need to cope and move on from one betrayal to another. This is a story of four women – who shared the same man and the same love that came from them for him. It is the story of love and life, of art and the self-destructive button it carries in its wake. 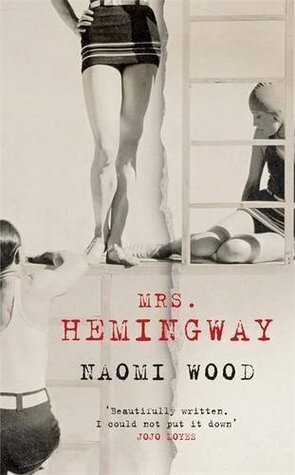 “Mrs Hemingway” is a treat for all literary lovers. This entry was posted in Books, Literary Fiction, Picador, Review and tagged Ernest Hemingway, macmillan, Mrs. Hemingway, naomi wood, picador on April 29, 2014 by thehungryreader. There is this subtlety to discovering books. You don’t even know it and there you are, tucked in with a new book by an author you don’t even know, and you are walking out of the bookstore, just waiting to get home to start reading the book. How did it happen? How did you manage to discover the book? How did the process even begin? Also, how does one get to know of titles online? How does then one shop online for books? 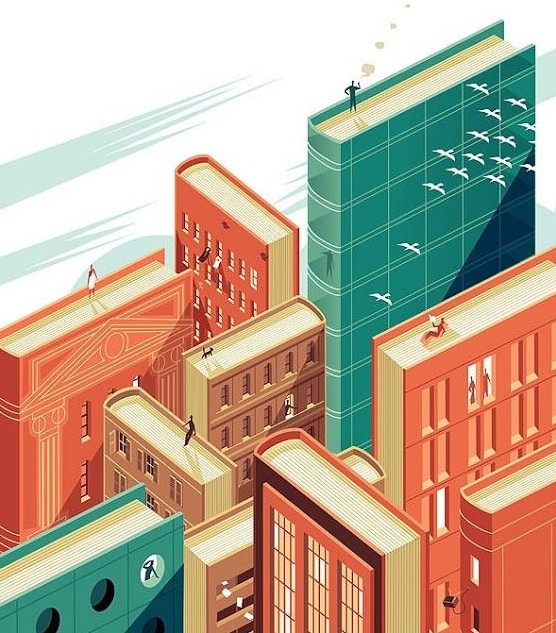 There is so much happening in the world of books, that a reader can easily get overwhelmed. Discovering Books is a beautiful experience in itself. It is something that I would never want anyone to take away from me. I remember going through books on books and reading, while growing up, just to get my hands on a new author or book which I had never heard of. I also remember discovering Murakami that way. Just logging on to Amazon.com one fine day in 2001 – the 1st of May, and there it was, the cover, staring right at me, and I knew I had to order the book. That was when my love affair with Murakami began. To wander into a bookstore – old or new and then to find a book which you instantly connect with. The feeling is known to many and yet every time we discover a book or an author, our heart jumps with joy. We identify the feeling with other readers. We want to squeal. We want to share our happiness. That is the pleasure of finding books. Of discovering new worlds. Of wanting to shut out the world and immersing oneself in newer worlds. I hate when people recommend books to me. I do not like it one bit. I do not ask for recommendations. I am happy searching for books on my own, in the way I like to. There is this magic of finding an unknown Norwegian writer whose name you cannot pronounce, but you Thank God for the translation. To begin to turn the pages at a second-hand bookstore. To smell the newness or the old smell of a book. To read a paragraph or two and realize that there is no way you will leave the store without picking up the book – that is the magic of finding out. Maybe that is how you will find what books you love reading, what genres will be closest to you when you turn eighty, or which authors will you quote again and again. To go online and go through lists and lists of books (I love Flavour Wire for this and many such websites). To read reviews. To understand the book. To read a sample online (sometimes, even this helps). To walk into a library and find books. To randomly go through a person’s bookshelves and discover something you want to refer to later. Of those hurriedly making notes in a small notebook, which has a long list of books to read and books to buy. Isn’t it that joy which cannot be compared with anything else in the world? Off late, I have also started discovering books through people’s book hauls and book videos on YouTube. But nothing to beat the good old method of entering a book store. Of looking at the shelves again and again, with the hope of finding something you have never encountered. Like a blind date with a book. Like a thrill running through your entire body. Something you know will stay. An experience you cannot let go off. That is the magic of books, I guess. So where do you find your books? How do you discover them? This entry was posted in Books, Reading and tagged memories, the Art of discovering books on April 27, 2014 by thehungryreader. These are the four short stories read. Apologies for not describing them in detail. Just that there is such less time to read anyway, that I want to devote every free second to it. Day 136: 24th of April 2014: The Devil and Daniel Webster by Stephen Vince Benet. About a farmer who sells his soul to the devil. Interesting detailing and good plot. Day 137: 25th of April 2014: The Wall by Jean-Paul Sartre. Spanish Civil War and its brutalities. A prison. Three comrades and what happens to them. Day 138: 26th of April 2014: Little Herr Friedemann by Thomas Mann. A deformed crippled. His love for a married woman. The rejection. And the consequences thereafter. Day 139: 27th of April 2014: The Rocking-Horse Winner by D.H. Lawrence. A boy’s ability to predict the winners of horse-races and the aftermath, given his greedy relatives. This entry was posted in 387 Short Stories, short stories and tagged 387 short stories, D.H. Lawrence, Jean-Paul Sartre, Stephen Vince Benet, Thomas Mann on April 27, 2014 by thehungryreader. I am wary of reading memoirs, if they aren’t too generic. Anything specific and my guard is on – because it seems that it would be difficult for me to follow or comprehend. After all, it happened or is happening to the author. So how will I be able to relate to it? What does one do then while attempting to read a memoir? How does one sink into it and actually enjoy it? There have been times when I have just dropped some half-way and then there have also been times when I sat through some and actually enjoyed them. “Little Failure” by Gary Shteyngart falls into the latter category. I must admit that I had a tough time getting into the book. After the first thirty pages or so, I also thought of giving up on it, but then somehow continued reading it. The book is bleak in most parts and yet strangely enough it uplifted me in other parts. The book is a memoir as it rightly says – it is about a young Russian-American emigrant’s survival in New York City, learning to become American. It is about the hopes and dreams of his parents – of the insecurities, of the different way of living and of coping with two sides. It is about everything you feel when you do not belong and in so many ways you do belong, so there is always this shaky middle ground where you stand. 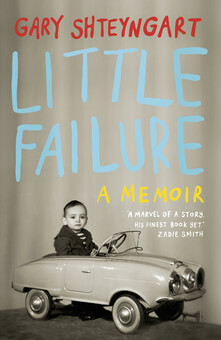 “Little Failure” works as a memoir (after the first sixty pages) because it is honest. Gary at no point uses any sugar-coating or frills up the book so to say. Every emotion and lack of it is as real as it can get. The title comes from the fact that Gary chose to be a writer instead of another profession, which to his parents represented failure. Hence, he was their “little failure” or “Failurchka” – the term created by his mother. “Little Failure” is one of those books that will take you time to get through. It is not an easy read. At the same time, it is a delight to read someone’s story – not because it could be different or similar to yours, but because there is this hope that it fills with you at some point – given so many topics and themes that conjoin and melt. From identity, to the unhappy marriage of your parents, to having to be a mediator, to trying very hard to survive in an alien land, with the choices you make. The writing is funny and sharp and heartbreaking as well – which adds to the entire tone of the book, just right. So many times in his three books, Gary has spoken about the emigrant experience. In fact, all of those books are only about that – the feeling of being lost in a strange country. “Little Failure” is sort of a prelude to those books. It is a personal experience and yes it has changed my view on memoirs to a very large extent. This is perhaps one of the best books I have read this year and if you like stories of people – real stories, then you must pick this one up. This entry was posted in Books, Hamish Hamilton, Non Fiction, Penguin Books, Penguin UK, Review and tagged Emigrants, gary shteyngart, hamish hamilton, Little Failure, memoir, Penguin UK, Russian American on April 27, 2014 by thehungryreader. I am always wary of reading a debut novel. Not because of maybe not liking it, but also because of the effort put in by the writer, which I may not be able to see or gauge and for the right reasons alone – I am not close to the book at that point. But then when the effort is put by a reader, then the entire reading experience changes. You feel for the book. You feel for the author, for the characters and the plot. Every word then is analysed and mulled about and given great thought to. “The Smoke is Rising” by Mahesh Rao made me do that to a large extent. It is the future. India has got it all. It is almost the year 2008. India’s first spacecraft has been launched to the moon. The country is full of vigour and vim. Everyone wants to move ahead. Technology has set out a new path for the country and a small city like Mysore will not be left behind. It is gearing for its own greatness by building Asia’s greatest theme park – Heritage Land (I love the play and satire of words that shines throughout the book). The people of the city see the city transform instantly and for some of them it will not be easy getting back to the way things were. This in short is the plot of the book. I am not going to give away more than this. Now to the writing. To begin with, you will not feel that the book is the debut novel of the writer. The satire is biting. The humour is wry. Mahesh’s writing is direct, which I loved the most. There are no round-about turns here. The story is as it is – and what I loved the most, is the subtle jab on the ever-changing world and how the world gone by just waits and gets lost. I guess I could connect a lot more to the book than I thought I would. “The Smoke is Rising” speaks of changes, of times moving on and somewhere down the line, while we all have somehow gotten used to the world that has changed, we still perhaps want to cling on to what has been left behind. The book resonated deep within me and I will of course reread it, but for now, I will let it be. I will maybe go back and remember a life that was simple, as the characters of this brilliant debut. 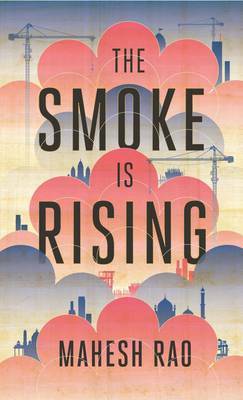 This entry was posted in Books, Literary Fiction, random house, Random House India, Review and tagged development, literary fiction, Mahesh Rao, Mysore, random house india, technology, The Smoke is Rising on April 25, 2014 by thehungryreader.